Things are always shifting, changing and moving. It seems like with each passing year those elements are picking up the pace! What that means for you is that you have to be willing to shift and expand with those changes. Whether you are talking about businesses or individuals the urge to shift is felt stronger than any other force at play. However, in every arena of life there are people who are not willing to jump on board when change comes knocking at their door. The name for it is called a “fixed mindset”. Even worse, some aren’t aware of the heavy burden of a fixed mindset that keeps them in a territory of not expanding their life and business for the good! 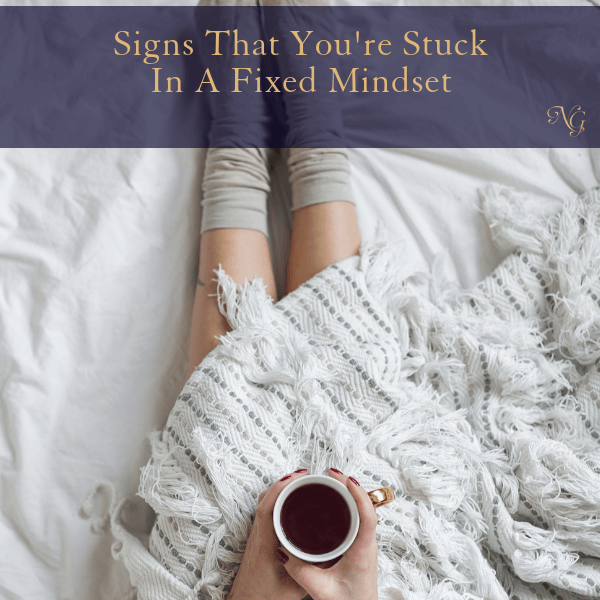 We will go into that a little bit deeper in a moment to see the most common signs that you are stuck in a fixed mindset. 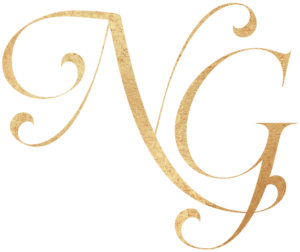 Just a heads up – what you are aiming for is to have a growth mindset and that is in the next blog. A fixed mindset is a limiting belief that intelligence, talent, and one’s overall ability to achieve success are predetermined and fixed at a certain level. For example, let’s imagine two sisters. One is naturally thin and the other has always struggled with carrying extra weight. The sister carrying the extra weight, believes she was born with that predisposition and she will never be naturally thin like her sister. Thus, she sets a limiting belief around her life. She does not try to figure out how she can build muscle, do resistance training, change her diet to speed up her metabolism to have the body she actually desires to have. This sister is allowing herself to miss the opportunity to have a body she desires all because of a fixed mindset. It’s easy to forget but yes, your attitude alone can push you towards success or failure. The same scientists who coined the term also identified that an antagonist might help people change their lives – the growth mindset. Here’s how it works; the brain is more malleable than once thought. You can really enhance anything about yourself! That should be encouraging, right? Intelligence can be enhanced, talent and skill can be amped up through hard work, you only need to exercise a positive mindset and consistency to get the ball rolling! A huge sign that you are struggling with a fixed mindset is how you respond to the challenges you come up against! Resistance really shows where your mindset lies. Resistance often comes when you step out of the comfort zones you tend to build around your life. 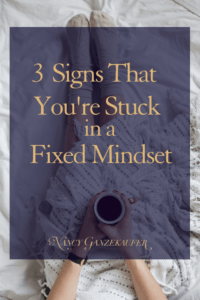 When you are comfortable it is hard to detect if you indeed have a fixed mindset! Setting new heights for yourself is the medicine you need for a fixed mindset. So, as you are developing your business remember few business plans are smooth from inception up to the point where they become profitable. Most of the time entrepreneurs meet obstacles midway through and it’s tempting to think, “Is this where it ends? I don’t see how to keep the momentum going.” Beware, that’s the fixed mindset taking over. Picture yourself as a hiker traveling down a narrow path. Suddenly, a giant boulder blocks your way. What do you do? Do you turn back and head home, or try to find a way around? I hope each and every one of you would check to see if you can get around it or safely climb over it! A clear sign of being entrapped by a fixed mindset is having the reaction of wanting to give up or slumping into hopelessness. Many times in your life effort appears pointless. You have all probably experienced this working hard in one direction with a clear goal in mind. Only to reach a moment when everything should be taking off and it flops! Then your rigid relentless mindset yells at you that everything is pointless. When effort doesn’t pay off the self-preservation instinct kicks in rerouting you towards an activity that is sure to be “rewarding”, but it may not necessarily be your dream! This is why not allowing a fixed mindset to set the tone of your life is so important. It always takes you backwards and not forwards. You definitely have a fixed mindset if you perceive criticism as something negative! Sure, some people can be harsh with criticism but it doesn’t make or break you. Depending on your experiences some of you may cocoon yourselves inside your own little world to shield yourselves from the criticism of others! It is easy to equate criticism with failure instead of taking the truth of it to help you grow! I get it, staying ignorant offers the mind fewer things to worry about but also keeps it in a safety zone where growth is rather impossible. Look at it this way, a fixed mindset transforms your life into a maze. Running away from past mistakes or criticism eventually narrows down the possibilities through fear! Then you keep running into dead ends and finding your way out is complicated! Lastly, a fixed mindset can be revealed by the way you look at the success of others. If you develop jealousy and see it as a threat hindering your own chances at greatness you could be blocking your own progress! What I have seen over the years is that jealousy gets you focused in a negative zone focusing on other people’s lives. You are not happy when you are jealous. It is hard to be productive in your own life while carrying jealousy and unhappiness. When you are tempted to be jealous remind yourself It is a waste to focus on other people’s lives at the expense of NOT nurturing your own! Jealousy robs a lot more time and energy than you think. I have found that it is more beneficial to be inspired by someone else’s success than to be jealous and block your own energy towards success. You can struggle with a fixed mindset in various ways at various times. It is important to recognize where you have a fixed mindset so that you can begin change! Has this post helped you to discover something? Did you detect a little bit of a fixed mindset within yourself? Is there a type of fixed mindset that I did not address but you know all too well? Please, share!